Dedicated and driven Professional who thrives in a challenging and dynamic work environment. 25 years’ experience in the Financial Industry with a specialty in Technology Infrastructure and Software Integration for Hedge Funds, Investment Banks and Alternative Asset firms. Strong and current relationships with all Prime Brokers, C- Level Executives and Partners in the Alternative Asset and Real Estate space. Don is a frequent speaker on preferred industry panels and is quoted in many notable Alternative Asset Publications such as Institutional Investor, Hedge Fund Week, Hedge Fund.net, Alternative Universe and Forbes. Don is Founding Partner of DVP Partners, LLC. A Business Advisory and Consulting firm focused on Accelerating Business Performance and Mitigating Operational Risk for Firms and Partners in the Alternative Asset and Financial Services space. Don previously served as the Director of Business Development and Marketing at Richard Fleischman & Associates (RFA) and was the Senior Sales Executive during RFA’s growth from 150 to over 400 Funds ranging in size from 50 MIO to over 30 Billion AUM. In addition, Don managed all Key Business Partnerships including Prime Brokers such as Goldman Sachs, Credit Suisse, Morgan Stanley, UBS, Deutsche Bank, Merlin Wells Fargo and Jefferies. 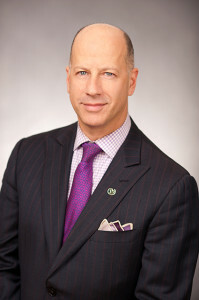 Prior to that, Don served as the Director of Business Development at CS Technology and was responsible for Technology Infrastructure Design for Large Commercial Properties and Established Strong and current Ties to the NY Real Estate community. Earlier in his career, Don held management positions at Donaldson, Lufkin & Jenrette, Credit Suisse First Boston and Reuters America where he helped start the first Automated FX Matching system for Foreign Exchange. From there he led a Successful Sales team and went on to become a top performing Strategic Account Manager for large Investment Firms and International Banks. Don is Current Co-Chair of Hedge Funds Care Committee. Board member of TAAAP’s (The Alliance of Alternative Asset Professionals). Active member of the Bond Club of New York. Don is also a member of CORENET (Corporate Real Estate Network, New York Chapter) as well as a Board Member of Felipe Lopez Foundation. Protecting your Corporate reputation and investor trust. DVP is business advisory firm focused on Accelerating Business Performance and mitigating operational risk for firms and partners in the alternative asset space. We specialize in helping our clients align their firm’s technology and operational strategy to the business strategy, investor profile and budget of your firm to help provide a sustainable business foundation that will help attract and retain investor capital and enable you to focus on your core business raising capital and a making money for your investors. DVP Partners has 25 years of experience working with over 300 Funds covering every asset class from Long/Short to Quant and AUM from 10 MIO to over 30 BIO. Legacy operating models are a thing of the past, to build and enduring firm, there must be a fundamental shift in the way firms think about and integrate technology infrastructure, sound operational process and compliance into the fabric of their business to help preserve your firm’s performance and protect your corporate reputation and investor trust. Key Business Drivers in the Market: All of these Business drivers have not only created a greater degree of ambiguity for the new manager or established fund but it makes a sound technology foundation and good operational process compulsory to have a sustainable and enduring operating model. Investors are intensifying their scrutiny on the due diligence on the technology and operational aspects of the fund before they make an allocation. The demand for real time replication of all critical business systems. Unprecedented access to global Data through distributed architecture, Hosted and Hybrid Cloud and Mobil technologies. Funds going multi-Prime having to aggregate disparate information across multiple asset classes and counter parties. © Copyright - DVP Partners, LLC - All rights reserved.